Topics that I am providing commentary about today include the Deans from Havre, Karen Marshall resigns, Kathleen Williams announces, Trump & Tester, things to know, and One More Thing! William James Dean is no newcomer. In the last election cycle Dean, who currently goes by James, filed to run for president in California under a different name, Daniel Lane Dean, the name that appeared on his Air Force Academy diploma, and his Hawaiian state bar exam, and a divorce record that shows him being served dissolution papers while working for the Judge Advocate General Corps at Guantanamo Bay. Sarah Dean has used no fewer than four names, each affiliated with an online business, or a Christian ministry, a collection of children’s books, or a crowd-funded charity. Maybe the 2018 U.S. Senate race here in Montana won’t be boring after all? It was good to read the story from Lee Newspapers that reported Karen Marshall had resigned her post with a Republican organization. In case you missed it, Marshall called into a radio show in Montana and said she would have shot the reporter who was assaulted by now-Rep. Greg Gianforte. On Monday I wrote about this and said that one would think the Gallatin County Republicans and the Montana Republican Party would have fired her for these remarks. We have not heard much from Montana Republicans about Marshall’s threat. That’s troubling. The question that now has to be asked, Is it over? Should Marshall be held accountable in a court of law for her threat? Although politics are in the gutter already, we need to make sure that threats like this are taken seriously – and that means she needs to be prosecuted. 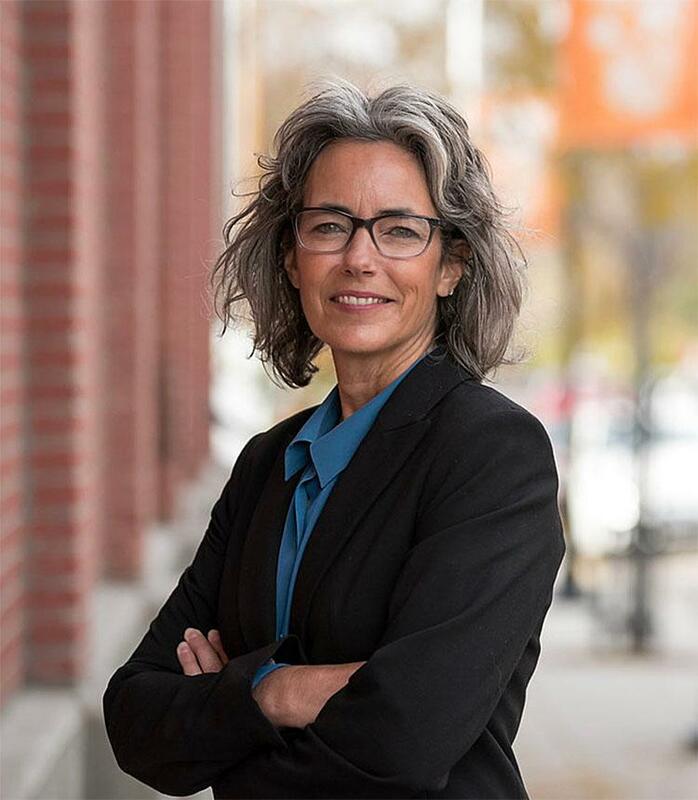 Three-Term State Representative Kathleen Williams of Bozeman declared her candidacy for Montana’s at-large congressional seat Thursday. Williams is a Democrat. According to the Associated Press, Williams joins a Democratic field that includes Billings attorney John Heenan, former land-trust director Grant Kier and state Rep. Tom Woods of Bozeman. Republican Greg Gianforte is the current office holder, serving his first term. This is one of best chances the Democrats have in winning the seat. Rumors are flying that Gianforte will run for Governor in 2020, so there may be an open race (again) for Montana’s At-Large seat in the House of Representatives if Gianforte wins reelection in 2018. It would be good for Montana if people ran for the U.S. House seat who really wanted it for something more than a stepping stone (Daines, Zinke, etc.). The press office of U.S. Senator Jon Tester (D-Mont.) recently announced that Tester had sent his eighth bill to President Trump for his signature. You read that correctly – his eighth bill. It’s good to see that a third-generation Montana dirt farmer from Big Sandy can work with someone who went to an Ivy League college and is a very intelligent person. Tester’s Veterans’ Compensation Cost-of-Living Adjustment Act increases the VA’s compensation to disabled veterans and Gold Star Families, the spouses and children who’ve lost a loved one in service to the nation. Since Tester is up for reelection in 2018, his Republican opponents will have a hard time convincing voters he is not working across party lines in Washington, although I bet they try. Veteran benefits should never be a partisan issue. Never. If you are a candidate or on the staff of a candidate, please send your press releases to me (western_word@yahoo.com). Follow me on Twitter (@TheWesternWord) and I will follow you back. Subscribe to this blog and visit The Western Word Facebook page by clicking HERE. You will feel better if you do – and you will gain knowledge. The Western Word was established in 2005 and provides independent commentary about politics, sports, the media, and current events. The same question could have been asked when Barack Obama was President. I think many folks disliked Obama for one reason: He is black. I’m sure the wheels are turning in my readers’ minds with answers. Send me an email (western_word@yahoo.com) with your answers, or if you are brave enough, leave your thoughts in the comments for all to see. Have a great week – and thanks for reading The Western Word. This entry was posted in Campaign 2018, Caught My Eye..., Donald Trump, Greg Gianforte, Jon Tester, Kathleen Williams and tagged Barack Obama, Donald Trump, Greg Gianforte, Kathleen Williams, Montana politics, Sarah Dean, William James Dean by Jackie M. (Mike) Brown. Bookmark the permalink. Prosecute Karen Marshall for what? She simply underscored her exasperation with Jacobs with a hyperbolic phrase in common use, but best used privately between friends. Her remark was unwise, but if I were on the jury I wouldn’t consider it a threat given the context. I always enjoy your commentary. Thanks!